It was tempting to use the title, “Naked Lady in the Garden”, to attract the attention of those who don’t ordinarily dwell much on fall flowers, but I thought perhaps it was a bit risque for a university arboretum story. 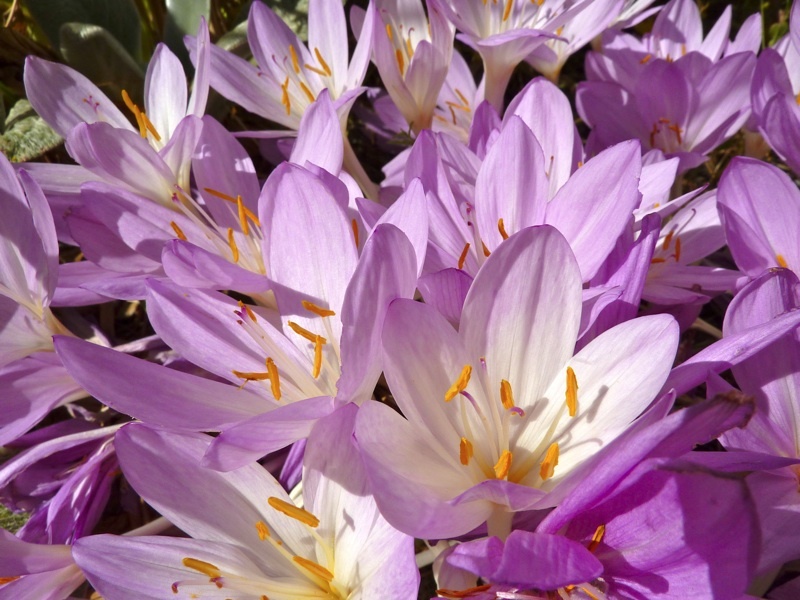 But it’s entirely true that fall crocus, meadow saffron, or naked lady, are common names for the beautiful flowers of Colchicum autumnale and other varieties of Colchicum. Every spring, gardens around the world are pleasantly surprised by the arrival of early flowering crocus bulbs, but every fall, the Colchicum, or fall crocus, come out of nowhere when the garden is in decline. The name fall crocus certainly applies to these delicate, slender, and beautiful flowers. The bulb-like corms are easy to plant and are highly dependable. The main problem is placing them some place in the garden so that they are not accidentally disturbed earlier in the year, allowing them typically to first grow their leaves and store energy so that they may surprise you later in fall with flowers after the leaves have withered away and you’ve long forgotten about them. Just in case you don’t have any in your garden, here’s a few photos to help entice you to plant some of these beautiful flowers the next chance you get.